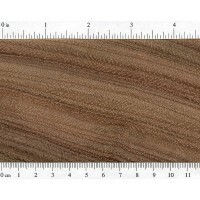 Color/Appearance: Heartwood tends to be a golden to reddish brown. 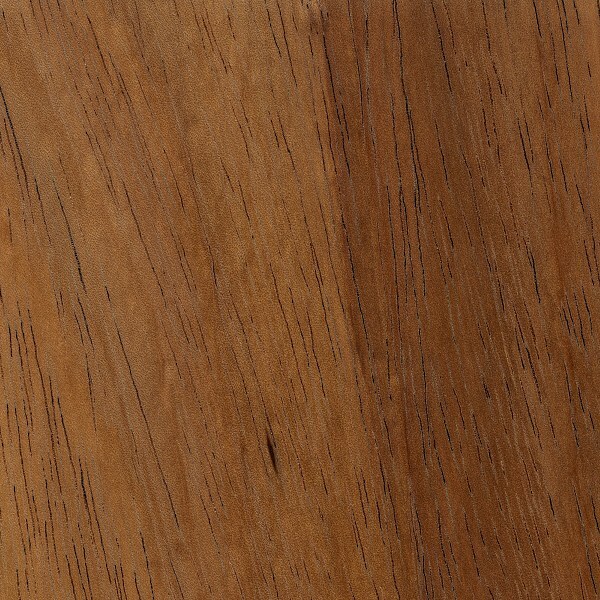 Sapwood is a lighter brown color, and is not always clearly distinct from heartwood. 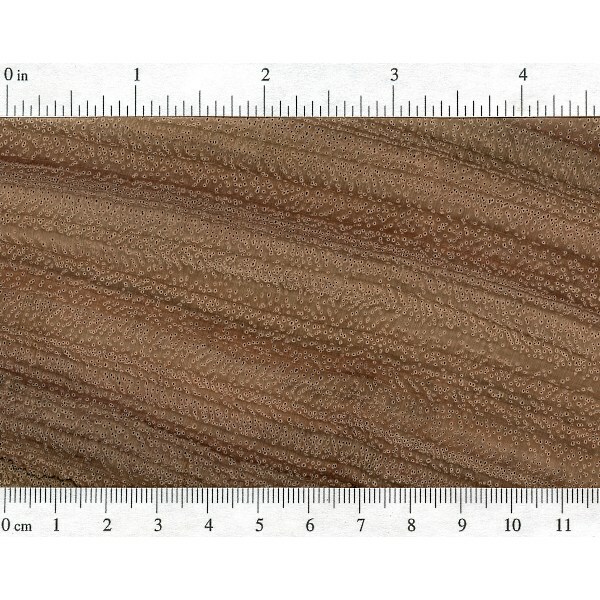 Sapwood may be over 2.5 inches (8 cm) thick. Grain/Texture: Grain tends to be interlocked and/or wavy. Regularly spaced large open pores give a coarse but even texture. 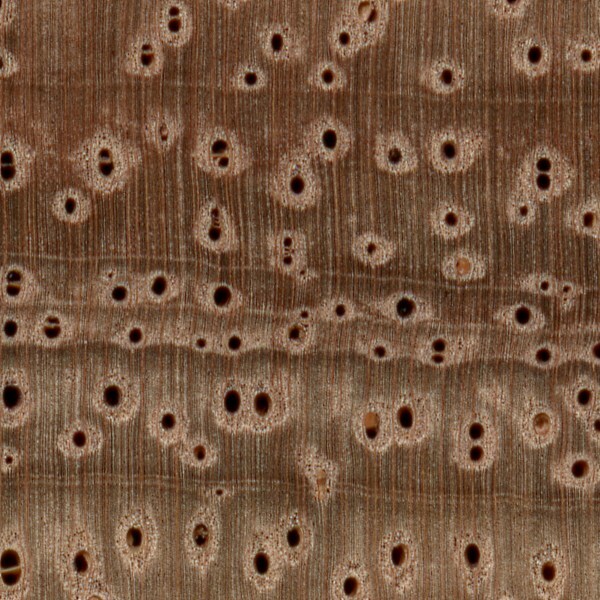 Endgrain: Diffuse-porous; large pores in no specific arrangement; mostly solitary, with some radial multiples of 2-3; mineral deposits occasionally present; growth rings indistinct or distinct from seemingly marginal parenchyma; very inconspicuous rays not visible without lens; parenchyma primarily vasicentric or aliform. Rot Resistance: Timborana is generally regarded as durable or moderately durable regarding decay resistance, though it is susceptible to insect attack. Workability: Timborana has a fairly high blunting effect on cutters due to its silica content. The wood is also somewhat difficult to surface, owing to its interlocked grain and density. Timborana glues and finishes well. Allergies/Toxicity: Although there have been no adverse health effects associated with Timborana, some species within the Piptadenia genus have been reported to cause eye, nose, and throat irritation. See the articles Wood Allergies and Toxicity and Wood Dust Safety for more information. Pricing/Availability: Most commonly available as flooring planks, Timborana is occasionally sold as woodworking lumber or turning blanks. 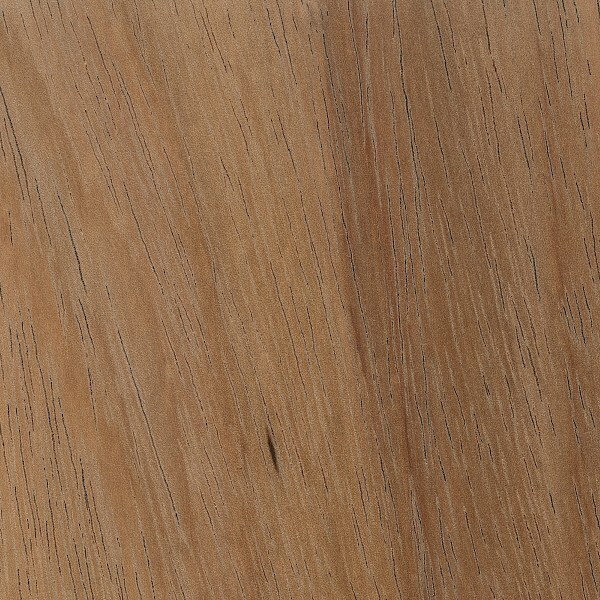 Timborana’s price tends to be above average for an imported hardwood. 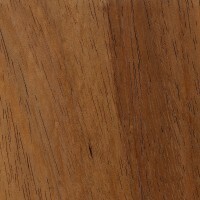 Common Uses: In the United States, Timborana is used mainly for flooring material. It is also occasionally imported as turning stock. 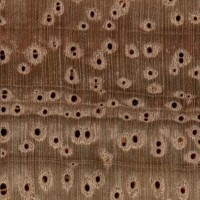 Within its native range, Timborana is also used for heavy construction, interior millwork, and furniture. Same reaction as above! Very weird stuff. Had the same experiance just squaring off the ends of the same 1.5x 1.5×12 in. piece, also bought @ woodcraft. Hav’nt turned it yet, but will defenitley use the dust mask. Thanks for the tip…. May create allergic reactions… I began to cough and choke within seconds of when my gouge touched a 1.5″ x 1.5″ x 3″ piece on my lathe. I’d been wearing just a full-face shield. When I stopped coughing I tried the gouge on the workpiece again and had the same reaction. First time I’ve ever had such a strong reaction to any wood I’ve turned. I swapped the face shield for a full nose-and-mouth dust mask and was able to continue turning with no further difficulties and even sanded the workpiece down to 600-grit with no more coughing at all. 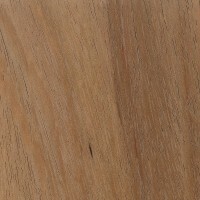 The particular wood was from Woodcraft, part number 152828, Timborana, 1.5×1.5×12 . I wrote a review with pretty much the same content for them just now.